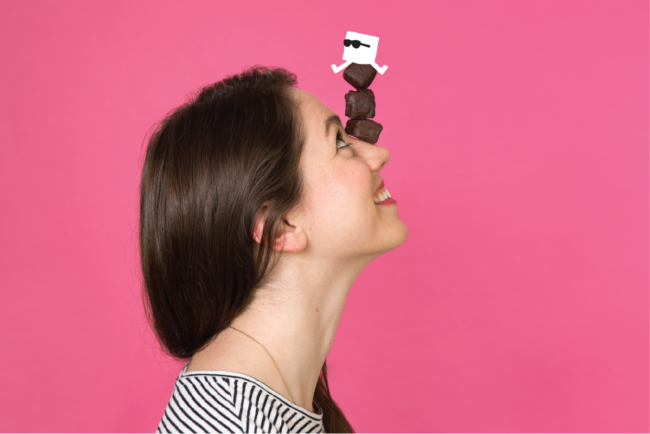 From one girl boss to another meet Harriot Pleydell-Bouverie, chief whisk and founder of Mallow & Marsh – the 100% natural, gourmet marshmallow company taking sweet snacking to the next level. Made right here in the UK, Mallow & Marsh create gorgeous, creative marshmallows – worlds away from the Flumps of yesteryear. 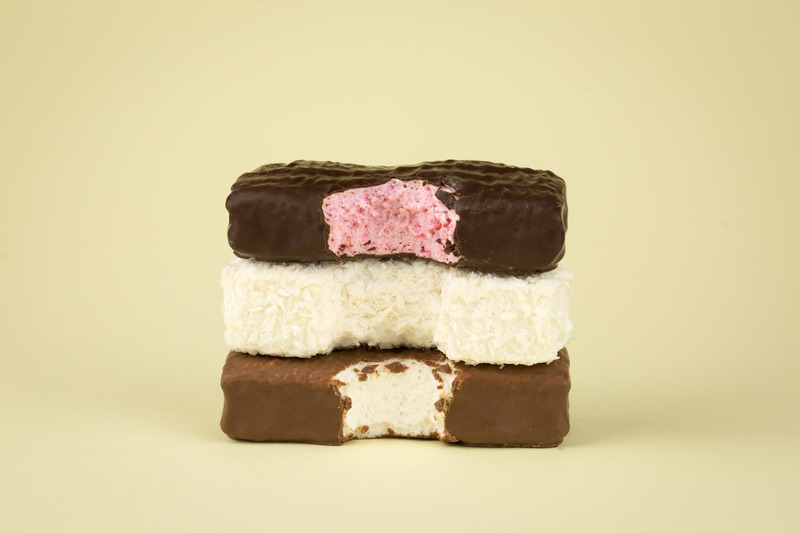 Think coconut, peanut and raspberry flavours, all coated in luxurious dark chocolate. I first heard about the company after an appearance on Dragons Den and couldn’t wait to catch up with Harriot about the rewards (and challenges!) of starting a business and why honesty is always the best policy. Mallow & Marsh started after someone bet that you wouldn’t be able to make marshmallows from your kitchen, why marshmallows and what inspired you to launch the business? Before I was bet to make marshmallows I’d never really given them a second thought, asides perhaps the odd s’more roasting on a fire. It was only when I made them myself that I realised how great they really could taste if you used traditional techniques alongside fresh, natural ingredients. As a product, they are a fantastic carrier for exciting flavours – the white fluffy base mixture can carry a lot of depth and offers a great platform to surprise and delight people. I saw marshmallow as an opportunity to really do something different with flavours and textures, and bring some much-needed excitement to the sweets category. It was this opportunity, combined with my love of food that really inspired me to drive forward and launch Mallow & Marsh. Everything is made (with love) by hand in the UK using natural ingredients, what are the core values at the heart of Mallow & Marsh? I am proud to have built a business based on honesty – at Mallow & Marsh we all believe in being transparent and trustworthy. This principle guides us in interactions with consumers, retailers, stakeholders and with each other as a team. We also like to remind ourselves that we make marshmallow, we are not HRMC. So we keep things lighthearted and do everything with a smile and we hope our consumers can feel this in our products. Your mallows are known for being super gorgeous and you have some brilliant flavours, where do you find inspiration for new flavours? I always focused on making treats that I could get excited about myself. During the early days of experimenting in my kitchen I tried all sorts of fabulous and sometimes strange flavours. I like to stay true to our entrepreneurial approach even today. The team run new flavour trials regularly, we have our own version of the bake-off in the office and we go on inspiration safaris around London whenever we can. So we don’t focus on a single source for our ideas but rely on a dynamic and passionate team that are always on the lookout for the perfect marshmallow flavour. You’ve got some brilliant stockists including Boots and Waitrose but there must have been challenges along the way, how did you overcome and learn from them? We have a saying in the company that serves us well here – ‘Everything is ok in the end, so if it’s not ok, it’s not the end’. It’s true though. Everything always is ok in the end, so it’s a matter of keeping going, bouncing back from problems, finding solutions even when you’re pretty sure there aren’t any and learning from the mistakes that you make. Doing all of this with a smile on your face, a great team and laughter makes it all the more bearable. For me, it has been building a team that I am incredibly proud of. Without the team, we wouldn’t be where we are today. They are the happiest, kindest, most passionate team I could hope for and they make the company everything that it is. Go for it and don’t look back. It might not work, but you will learn more than you thought possible on the journey and it will be a memory you’ll treasure. I’d also say have fun, sometimes things can feel very heavy or serious so never forget to have a little fun along the way. Besides being your own boss, what’s your favourite thing about running Mallow & Marsh? The variety, every day is different and I never know where the next surprise or challenge is going to come from. With so many stockists across the journey, you must have to travel a lot – how do you balance work/home life? Thankfully I don’t have too much travel to worry about as the majority of meetings are held in or around London. That said, work hours can be long and we have some very busy times. For me the balance comes from working at work and when I am home I am off. It’s always challenging though, so I’ve set a tight routine whereby I get up early, do some yoga and have a tea on my balcony before heading into the office, I also try to make sure I’ve left by 7pm to be able to see friends or family for dinner and relax a little. Can you tell me about your future plans for Mallow & Marsh? There is some super exciting marshmallow news in the pipeline but sadly you will have to wait a little longer before we can share. Now for some down time… What do you enjoy doing to relax after a stressful day in the office? I find exercise really relaxing so yoga on my roof is idyllic or a nice long swim in the local pool. However, for the really long days there is nothing better than a giggle and a drink with a good friend. Talk me through your day in food: What is your favourite meal? Do you have marshmallows every day? I think as a foodie every meal is my favourite meal. I do love breakfast though, especially when it can be enjoyed slowly with real coffee – it can be the make or break of a day I think. As for marshmallows – always! There’s generally an open bag of marshmallows around, and I can’t help myself but eat a few throughout most days. We have one day when we have to eat a selection for quality control as well – that’s a very difficult day obviously! My favourite place is Cookhouse Joe’s, I know the guys who run it, and who doesn’t love amazing rotisserie chicken and Lebanese inspired deliciousness. The atmosphere is great, the food is fantastic, the cocktails are a dream and I’m known for accidentally staying there way too late. If I came over for dinner, what sort of food would you serve? Ooooh this is a tricky one because I love trying new things. I’ve been doing a fun new challenge where I try to cook a different cuisine each month. That said my current staple would have to be a BBQ given the weather. Some amazing marinated meat, a selection of salads and a crisp cold bottle of wine. Lastly, besides marshmallows (obvs) are there any particular foods or ingredients you couldn’t live without? Fresh mint and lemons. They can make any meal (and drink for that matter) amazing.